Post for 1/2/2015: Hello! Georgia and Michael here again, here to tell you of our adventures in Bahir Dar (on Friday). Our apologies for the radio silence! Upon landing in Bahir Dar, we immediately noticed just how lush and green the area was (especially compared to Addis Ababa). The roads there were lined with trees, blooming plants, and the like. 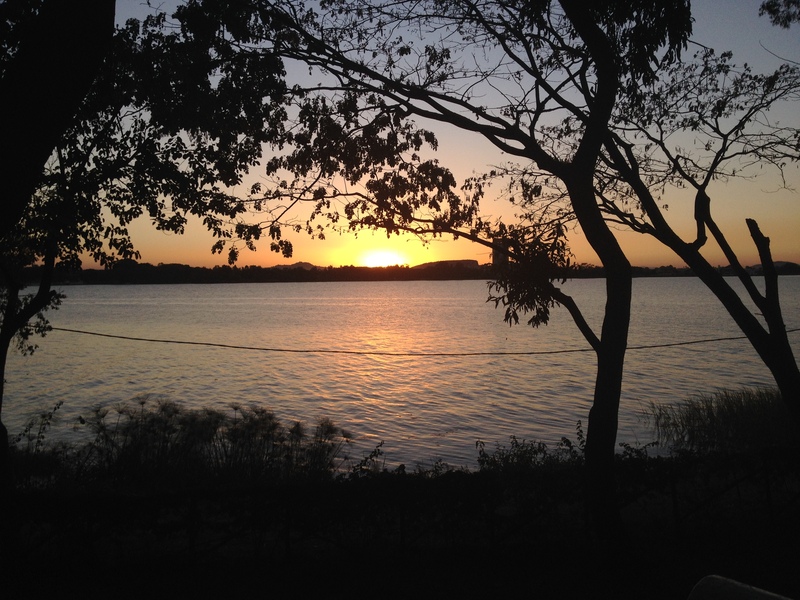 Our hotel was lakeside of Lake Tana, and each room had a gorgeous view of the lake. After settling at the hotel, we disembarked via boat for a tour of a local monastery (Entos Eyesu) and church (Beta Maryam). The monastery, Entos Eyesu, was located on a small, remote island where 5 nuns and 15 monks lived. 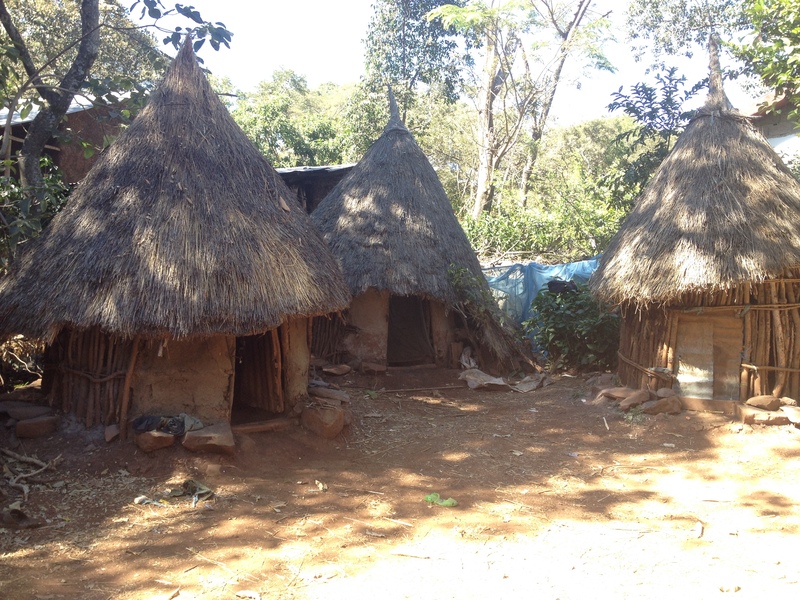 The island was full of birdsong, thick with the smoke of injera cooking, and lush with many types of trees and flowers. We visited a small museum, where a priest dressed in yellow robes read us passages from a holy book in Ge’ez, (ancient Amharic script) and sang us a beautiful chant in the tradition of St. Yared, the founder of Ethiopian sacred music. 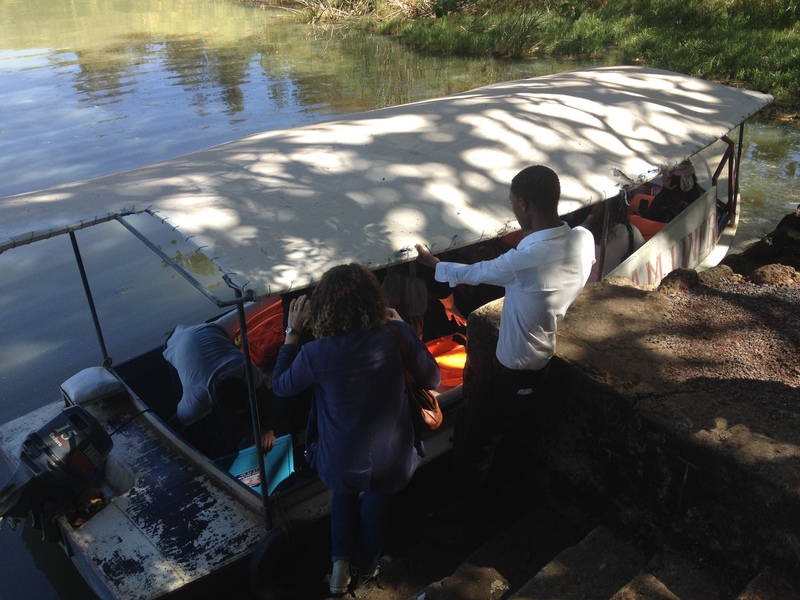 After our visit to the monastery, we took a longer boat ride to the peninsula of Lake Tana to visit the Beta Maryam church. The path up to the church and surrounding village was lined with merchants selling crosses, prayer books, and other religious souvenirs. At the top, we walked through the 16th century church. Its interior was lined with paintings depicting stories from the Old and New Testament, as well as stories from the Ethiopian miracle books. We were invited to meet the young men who were studying Ge’ez and chant books to become deacons and priests. For lunch, we ate a wonderful meal (fried and grilled fish with french fries) by the lake at the Desset Lodge. In the evening, after class, we piled into a number of tuk-tuks (known as “bajaj”) and went to a cultural show. 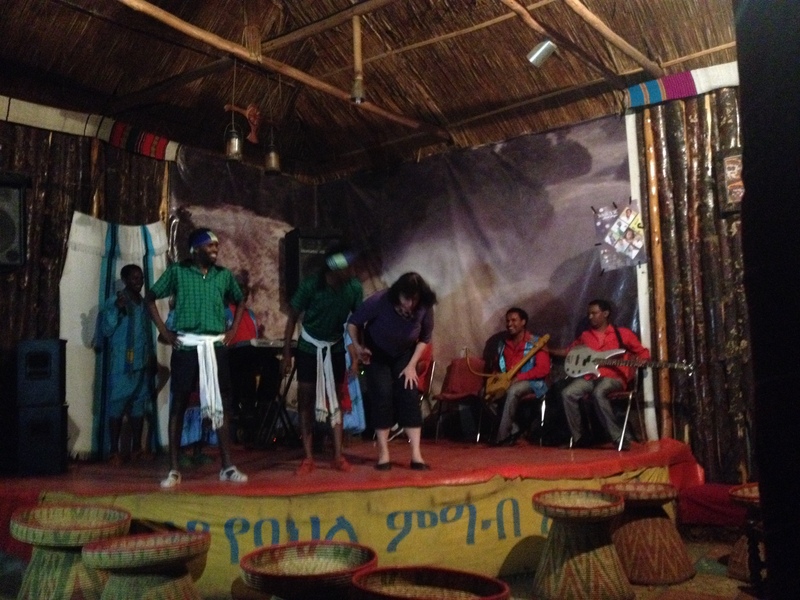 On stage, singers and dancers performed a number of traditional Ethiopian songs. While we enjoyed the performances, most of us partook in ~a glass of tej — a thick, syrupy honey wine. Annie and I (Michael) thoroughly enjoyed the beverage and drank a few flasks, while the others of the group weren’t so fond of the drink, and (luckily) consumed only a little. Tej’s distinct flavor is difficult to describe, but imagine a hamburger patty dipped in rancid honey with a touch of cheap perfume. Given such a description, it’s difficult to understand why Annie and I enjoyed this drink so much. After the first cultural show, a few of us (Sam, Annie, Dr. Crowley, and I) went to another cultural show. It was similar to the first show, with song and dance, though the crowd was a little younger than the first. However, the highlight of this visit — and possibly the whole trip — was when Dr. Crowley was summoned on stage to participate in a comedy/dance routine. While video of this historical event was recorded, what happens in Bahir Dar stays in Bahir Dar. But I have been given permission to share a picture — enjoy! Ciao ciao! Annie and Sam will hit you hard with a barrage of updates from the past couple of days. Daily/nightly updates should resume tomorrow! Thank you for such a detailed description of your excursion guys! It almost makes me feel like I’m there with you. Loving all the pics and I def wish I was there to see Dr. Crowley’s performance LOL. Sounds like fun and very beautiful! Glad you’re back in contact!